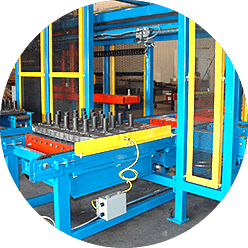 Custom Design, Build to Complete Your Material Handling System. 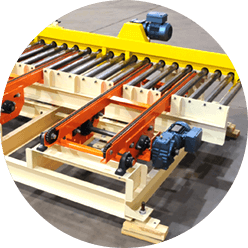 Conveyor Concepts of Michigan works with integrators and machine builders to design and build solutions to complete automated material handling systems. 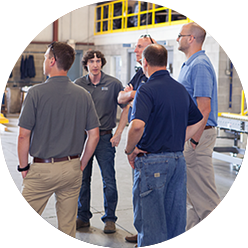 Our engineering team designs custom equipment and systems which are fabricated and assembled in house with direct communication to the design engineer to ensure the highest quality result. We work to be an extension of your team, to be flexible in our custom designed systems, equipment and solutions to ensure your success. Our in house capabilities allow us to be nimble in our response, design and manufacture of even your most unique application. Engineered systems make your solution. Custom systems engineered, designed and built to your unique specifications. Quality equipment makes the system. Our skilled fabricators and assemblers are committed to quality, high-performance, reliable equipment. 100 years of experience designing custom equipment and systems in the material handling industry.